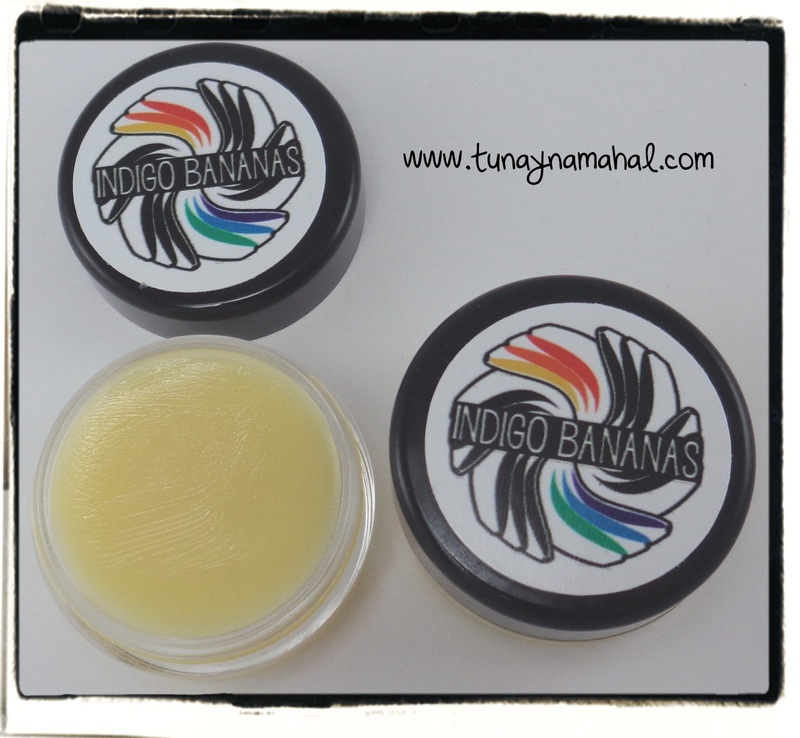 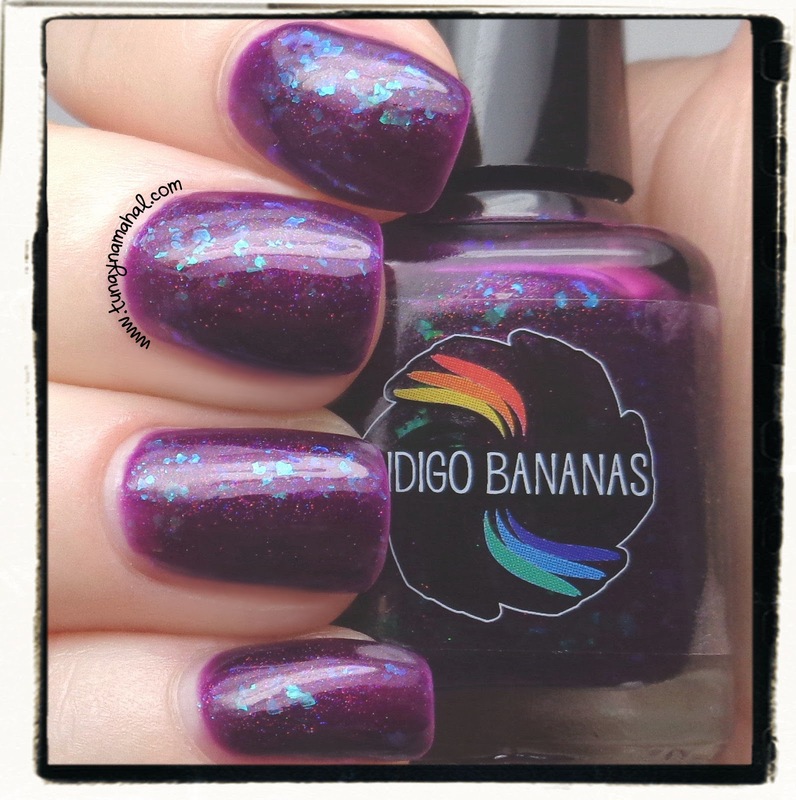 I saw Indigo Bananas, Perfect Night (for mystery & horror) swatched by Polish Hound, and The Mercurial Magpie, and fell in love with it. 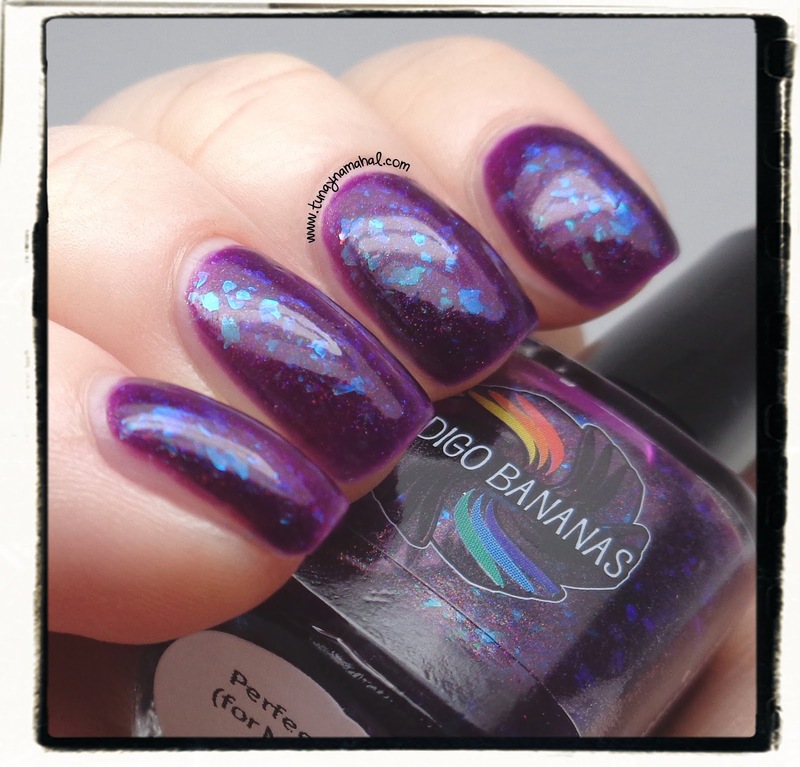 Well... let's be honest, I pretty much fall in love with any purple polish! 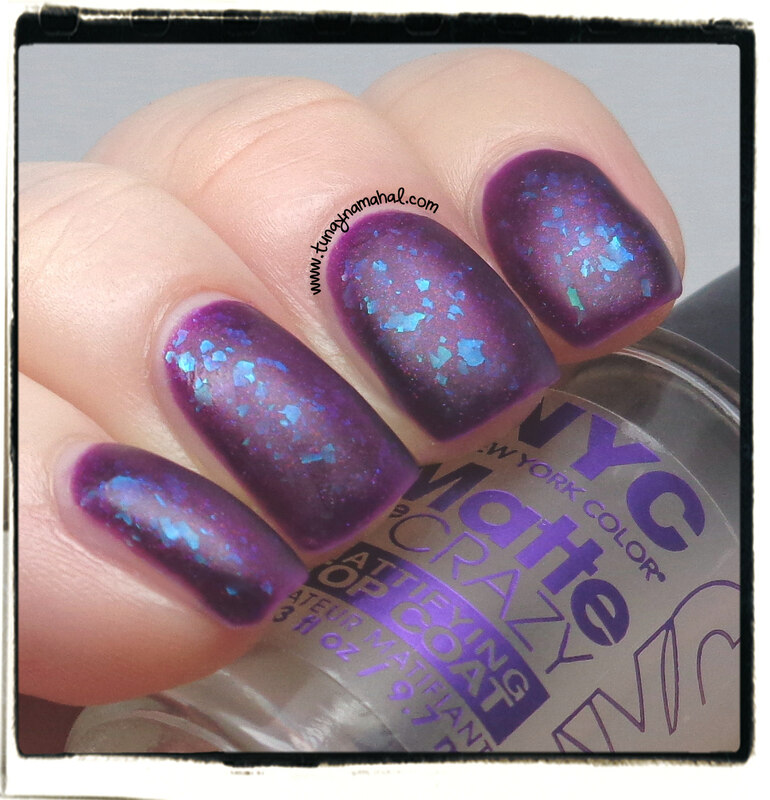 Perfect Night (for mystery & horror) is a rich purple jelly polish with blue green color shifting flakies. I did 3 coats (formula was smooth and flawless), and one coat of KB Shimmer Clearly On Top topcoat.